Can Vinegar Hurt Your Digestive System? Many people think of vinegar merely as the solution that turns cucumbers into pickles, or a main component in salad dressing. But vinegar is sometimes discussed by natural health devotees as somewhat of a miracle substance, prized for its antibacterial and antiseptic properties, food preservation powers and health benefits. Given its pungent, acidic qualities, however, some may wonder if vinegar is actually harmful to digestion. While many health experts state that, far from hurting your digestive system, vinegar is actually helpful to digestion, not everyone agrees that vinegar is that beneficial. Vinegar is highly acidic and, thus, may harm your throat if consumed frequently or in excess. Vinegar can also contribute to tooth decay, because its acid content has the ability to break down the enamel coating of your teeth. 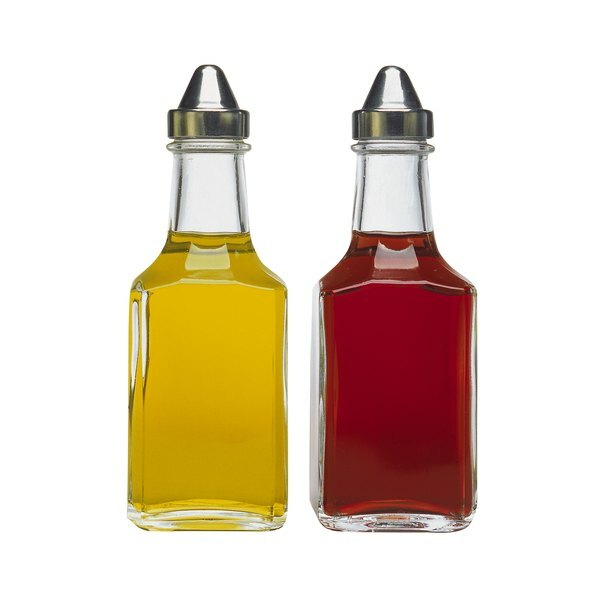 Vinegar may also cause harmful drug interactions for some individuals, such as those taking insulin or diuretics. Other experts state that vinegar can impact the body's digestion of carbohydrates and improve insulin sensitivity. A study by Carol Johnston, professor of nutrition at Arizona State University, showed that when people consumed vinegar prior to a high-carbohydrate meal, it reduced the problematic blood-sugar spikes that normally occurred in insulin-resistant participants upon eating carboydrates. Dr. Johnston theorizes that vinegar's acetic acid prevents simple carbohydrates -- which contribute to insulin resistance and diabetes -- from being fully digested, allowing them to pass through the body without affecting blood sugar. If you have concerns about your digestive system, or questions regarding the effects of vinegar on your digestion, consult a medical professional. Your physician can evaluate your digestive health and make recommendations for treatment; foods and substances to avoid; and dietary changes that may help, such as adding small amounts of vinegar to your daily diet. You can safely incorporate vinegar into recipes and avoid the potential for acid damage to your throat. Try mixing vinegar with olive or flaxseed oil, dijon mustard and fresh basil for a healthful salad dressing that allow you to enjoy the benefits of vinegar, as well as the heart-healthy benefits of unsaturated fat. Alternatively, try mixing a spoonful of vinegar into fruit smoothies -- it works well in a blend with iced green tea and frozen pineapple. To avoid tooth decay, rinse your mouth with water after eating to wash away the acid.